When special animals start going missing across Britain, the Cook family know it's another job for their resident spy pets. 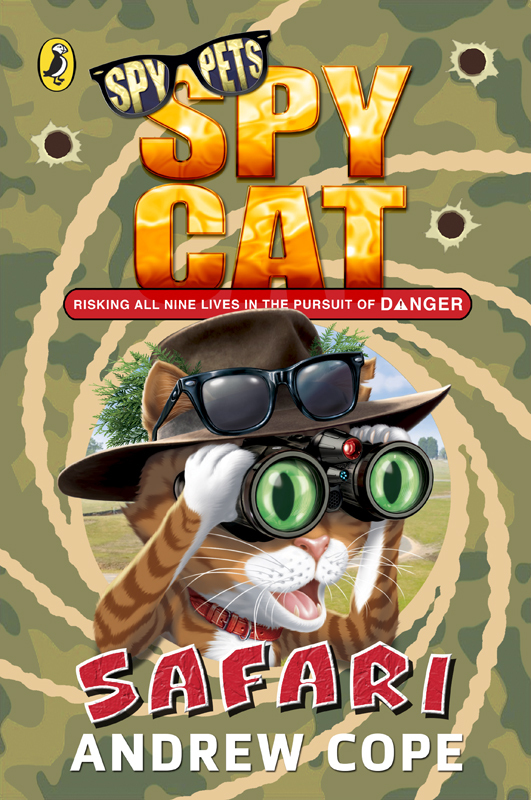 Spy Cat Safari is the latest title in this spy-tastic adventure series and once again features a fantastic cover from Andrew Farley. Andrew’s fun artwork shows hero Shakespeare the cat racing across the Savannah trying to save the Spy Pups’ tails. To see more of Andrew’s work, click here. Andrew Farley is represented by Kids Corner. Published on 1 July 2015.